The best time tracking software for small businesses should be affordable, easy to use, and offer multiple time entry options. The software should also include the ability to manage projects, invoice customers, and create detailed reports. We looked at more than a dozen products and narrowed it down to our top 10. 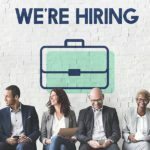 Harvest (Best Overall) SMB looking for an all-in-one time tracking, project management, and invoicing software. FreshBooks Freelancers who need to streamline customer invoicing and payment collection. actiTIME SMBs with more than five users that need a budget-friendly time tracking software. TSheets by QuickBooks Companies looking for a software with GPS tracking within a time tracking app. TMetric Businesses that manage several projects and can benefit from advanced project tracking tools. Time Tracker by eBillity Law firms that could benefit from a software with legal features. ClockShark SMBs in the construction and field service industries. HourStack SMBs that need to give view-only access to unlimited guest users. Toggl Businesses that have an invoicing solution and just need time/project tracking only. MavenLink A business looking for extensive business intelligence reporting. We looked at several time tracking software products and compared them based on cost, features, ease of setup, and ease of use, among other criteria, and narrowed it down to our top 10. Cost – Includes affordable pricing plans for small businesses. Setup/Ease of Use – Easily allows teams to get up and start running. Time Entry Options – Logs time manually or starts one or more timers to keep track of time. Project Management – Creates tasks and assigns individuals to a team or a project. Invoicing – Easily transfers time to an invoice so that you can bill customers right away. Integration with Other Systems – Integrates with your existing accounting, CRM, or payroll software to reduce double entry. Reports – Generates detailed reports by project, team, or task to stay on top of billing and budget versus actuals. Based on the above criteria and the time we invested in learning how each product performed, we recommend Harvest as the best time tracking software for small businesses. Harvest offers a free plan for solopreneurs who don’t need to add users. Paid plans are $12 per user per month, and all plans include time tracking, project management, and invoicing. Harvest checks all the boxes when it comes to affordability, user friendliness, and included features. Harvest is ideal for a solopreneur with no employees or a small business with several employees and contractors. In addition to a free plan, paid plans start at $12 per month for one user and $12 per user per month for multiple users. Harvest offers three pricing plans between $0 and $12 per user per month, which makes it one of the more economical products on our list. However, TMetric is the most budget friendly at $4 per user per month. The primary differences between the three Harvest plans are the number of users, projects, and cost. The Free and Solo plans do not allow you to invite additional users, whereas the Team plan allows you to have two or more users. The Harvest Free Plan is ideal for freelancers and solopreneurs who have no more than a couple of projects they need to keep track of and they don’t need to give anyone else access to their data. Similar to the TMetric and TSheets free plans, this plan is 100% free but does not allow you to give anyone else access. The Harvest Solo Plan is ideal for freelancers and solopreneurs who have a number of projects they need to track time and expenses for. Similar to the Free plan, you cannot give other users access to your data and unlike the Free plan, you will pay $12 per month or $144 per year. The Harvest Team Plan is ideal for a small business that needs to give access to multiple users and track time, income, and expenses for several projects. It is the top-tier plan at $12 per user per month. You can create your Harvest account in just a few minutes and start using the software right away. Invite your employees and contractors so they can start tracking their time. You can also add projects and assign a team to a project as needed. 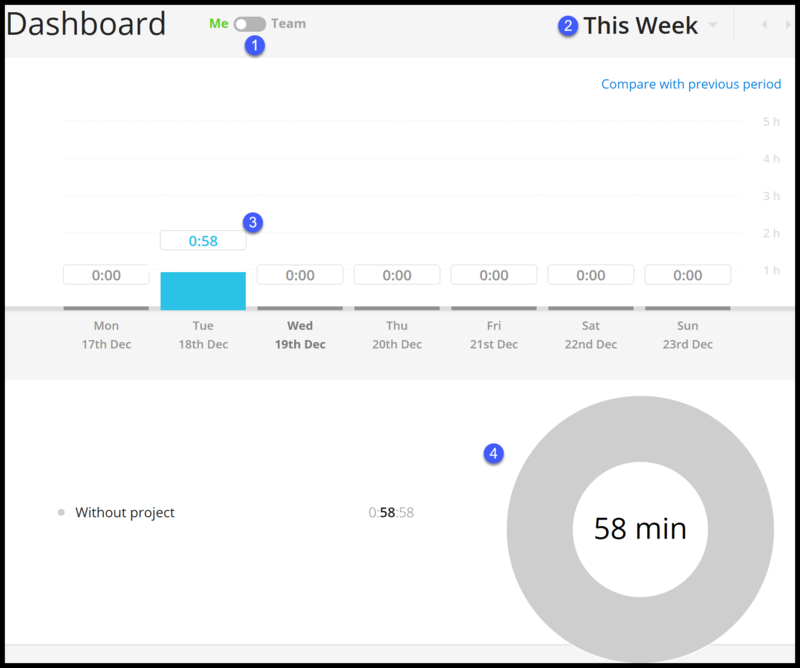 The easy-to-read dashboard provides you with how your team is doing and the status of each project, all in one place. Like many of its competitors, the dashboard gives you key information on one screen. Time Tracking Dashboard in Harvest time tracking software. Weekly View: Toggle between different weeks to view time entries for a seven-day period. Hours Tracked: The total hours for the time period selected will display in this field. Billable Hours: This field will breakdown the total billable hours (12.24 in the above example) and total non-billable hours (13.10 in the above example). Billable Amount: This is the total amount in dollars that is billable to your clients. Uninvoiced Amount: This is the total billable amount that has not been invoiced to your customers. As you can see in this example, the total uninvoiced amount is $1,597.00. Time Frame: From the drop-down, you can select the time period of your choice: week, semi-month, month, quarter, year, all time, or a custom time frame. Data Filter: You can select the type of data you would like to view in this section of the screen; options are clients, projects, tasks, or team. Data Output: You can export your data to Excel or CSV file or print a detailed report. Similar to the other nine competitors on our list, Harvest allows you to enter time in a couple of ways. You can use a timer to track time as you work or enter the total hours worked once you are done. You can also enter time for multiple days in the weekly time sheet. You can track time to specific clients, projects, and tasks as well as add detailed notes for each entry. Similar to TSheets and Toggl, you can create budgets, set up tasks, and assign team members to a project. Run reports to gain key insights such as how much time you have tracked to a project, billable amounts, costs, and uninvoiced hours, all in one place. Like FreshBooks, you can transfer hours to an invoice and bill clients for hours worked. Harvest allows you to email your invoices to customers and accept online payments using Stripe or PayPal—additional fees will apply. Finally, Harvest will send automatic reminders to customers so they can pay their invoices on time. Out of all the companies on our list, Harvest integrates with the most apps—100! Harvest seamlessly integrates with other popular accounting, CRM, and project management software like QuickBooks, G Suite, Trello, and Slack. Check out all 100 apps that integrate with Harvest for more information. Like the other companies that made our list, Harvest allows you to run detailed time tracking reports to show the amount of hours for a given time period for all clients, projects, tasks, or teams. You can export data to an Excel spreadsheet or print it out for review and analysis. Unlimited Estimates – Create unlimited estimates and send them to potential clients for approval. Expense Tracking – Keep track of expenses paid on behalf of your clients so that you can get reimbursed. You can tag expenses by project or client to ensure proper billing. Resource Scheduling/Forecasting – Harvest Forecast is a scheduling tool that you can add on for an additional $5 per user per month. It can be used to estimate the length of a project and includes a scheduling tool to keep track of employees who are underbooked or overbooked. FreshBooks is the only other time tracking software that allows you to create unlimited estimates and to track expenses like Harvest does. While Harvest met all of the criteria on our list, it does not include a tool to create schedules like MavenLink, TSheets, and ClockShark do. However, you can add Harvest Forecast, which will allow you to do scheduling and forecasting for an additional $5 per user per month. Harvest users like how easy it is to keep track of time away from the office by using the time tracking app. In addition, they like the simple user interface, which leaves very little room for error. While it was difficult to find negative reviews, one user mentioned limitations using the app versus going to the website. Head over to the Harvest User Reviews page to read all of our reviews. You can use Harvest for free the first 30 days. Just visit their website, provide your contact information, and your account will be set up immediately. There is no credit card required and you can start tracking time, expenses, and projects right away! FreshBooks is ideal for freelancers looking for a time tracking software that will streamline the customer billing and payment process. FreshBooks is known for its ability to create custom, professional invoices. At a starting cost of $15 per month versus $0 for Harvest, it is not cheap, but it includes income and expense tracking. FreshBooks has three pricing plans that run between $15 and $50 per month. Each plan includes one user and you can add additional users for an additional $10 per user per month. Out of all of the products on our list, FreshBooks is the second priciest behind MavenLink. However, FreshBooks goes beyond time tracking and includes the ability to track all of your income and expenses for your business! The FreshBooks Lite plan is ideal for freelancers who need to track time for individuals or teams, manage projects, and bill no more than five clients each month. If you have more than five clients, you should go with the FreshBooks Plus plan, which allows billing for up to 50 clients. The FreshBooks Plus plan is ideal for freelancers who have more than five clients but less than 50 clients they need to bill each month. The Plus plan includes the same time tracking, project management and invoicing features as both the Lite and Premium plans. The FreshBooks Premium plan is ideal for freelancers with more than 50 clients and less than 500 clients that need to be invoiced monthly. As mentioned, this plan includes the same features as the Plus and Premium plans—the only difference is the maximum number of clients you can invoice is 500 versus five for the Lite plan and 50 for the Plus plan. The time tracking dashboard is very easy to read, like those of its competitors. You can review time for an individual or a team for any time period that you choose. Similar to Harvest and other competitors, it is very easy to set up and use. Filter Time by Team Member: If you have a team of people who work for you, their names will be listed in this column. You can click on an individual’s name to see just their time or you can look at the entire team’s hours by clicking on “All Team Members,” as indicated in the above screenshot. Time Frame: Select the month to review time entries for. Client Details: Based on your selections for items one and two, the client name and total hours logged will appear here. Just click on the client’s name to review the detailed hours logged. Similar to the other companies on our list, you can manually record time in FreshBooks or you can use the timer. When logging your time, you can tie it to a client or project, indicate the type of service (e.g., consulting), and add any additional notes. If you are recording time that is not billable, you can easily remove the default check mark from the billable field. Similar to Harvest, you can create and manage projects, invite team members to join a project, and assign tasks with due dates to an individual or a team. Stay on top of the progress for each project by reviewing the dashboard to see what tasks have been completed versus those that have not been started. Unlike the other competitors on our list, FreshBooks is known for its invoicing capabilities. You can create customized invoices by selecting from a library of designer templates and adding your logo and colors. Transfer time entries to a client invoice in just a few minutes and email the invoice to your customers directly from FreshBooks! Like Harvest and other competitors, FreshBooks integrates with several other CRMs, bookkeeping services, and payment solutions like Gusto, Bench, and Stripe. Similar to its competitors, FreshBooks has several reports that you can generate to review time entry and project tracking data. Reports can be run for any time period for employees and contractors by client, project, or service type. You can print reports or download them to Excel. As mentioned, FreshBooks goes beyond time tracking to include features that allow you to manage all income and expenses for your business. You can download expenses from your bank and credit card accounts into FreshBooks, accept online payments, schedule recurring invoices, and share your data with your accountant. While Harvest does not allow you to track all income, you can easily keep track of your expenses like you can in FreshBooks. FreshBooks does not include a scheduling or forecasting tool, nor does it have a scheduling or forecasting tool that you can add on, like Harvest does. Therefore, if you need a tool that will allow you to manage resources, you should choose Harvest with the Harvest Forecast add-on tool. FreshBooks users like how easy the software is to use and mentioned that the customer service team is pretty good. However, users shared that the website is not very mobile friendly and should consider making some improvements so that it’s easier to manage time and invoicing on the go. Click here to see all our FreshBook user reviews. Like most of the companies on our list, FreshBooks gives you the opportunity to try their software before you buy it. Head over to their website, provide some basic contact details, and you will gain access to a fully functional account for 30 days. At the end of the trial period, you will need to sign up for a paid account to continue using the software. actiTIME is ideal for small businesses with five or more users. It’s the only product on our list that gives you a price break on additional users. While TMetric offers the lowest per user cost at $4 per user per month, actiTIME integrates with QuickBooks and allows you to customize the software. TMetric does not work with QuickBooks. actiTIME has pricing plans starting at $8.00 per user per month for up to five users to 150 users at $1.95 per user per month; the more users you have, the lower your cost will be. TSheets, Harvest, FreshBooks, and MavenLink also include all of the above features in their software. The actiTIME five-user plan is ideal if you have no more than five employees or contractors who you need to keep track of time for. While this plan has the fewest users, at $8 per user per month, it will cost you more than the 10-user or 20-user actiTIME plans. The QuickBooks integration and the ability to customize the software are also included. The actiTIME 10-user plan is ideal for a business that has more than five users but no more than 10 that need to track their time. You will save 50 cents per user per month with this plan because it only costs $7.50 per user per month versus $8.00 for the five-user plan. This plan includes the same features as the five-user plan. The actiTIME 20-user plan is ideal for a business that has more than 10 users but no more than 20 that need to track their time. At $5 per user per month, this plan is $3 cheaper per user per month than the five-user plan and $2.50 less per user per month than the 10-user plan! Like its competitors, actiTIME is easy to setup and very user friendly. In addition, you can use your own terminology if the default settings don’t meet your needs. For example, instead of using Customer, Project, or Task, you could use the terminology that works best for your business workflow, such as Client, Job, or Activity. Navigation Buttons: Similar to TMetric and Time Tracker, you can navigate between Time Track, Tasks, Reports, and Users by clicking on the icons at the top of the dashboard. Time Period: An option to select the time period you would like to see data for in this field. Task/Customer/Project: In this column, you can see the description, client, and project for each time entry. Unlike Harvest and MavenLink, you don’t have the option to enter time using a timer in actiTIME. However, you can enter time in a weekly time sheet and you can track time to a project or task and add detailed comments. actiTIME also keeps track of paid time off (PTO) and will calculate overtime in compliance with the overtime laws. Like Harvest, setting up projects is super simple in actiTIME. You can create projects, assign individuals to a project, or create and assign a team to a project. Assign a Manager to Each Project – Managers will be responsible for reviewing and approving the time for each team member assigned to them. Receive Automatic Notifications -If costs for a project have exceeded the budget or work is taking more time than originally estimated, actiTIME will automatically send you notifications so that you can take action. actiTIME also allows you to create PDF invoices so that you can bill your customers as you and your team complete work on a project. Similar to FreshBooks, you can add a logo and your branding to customize the invoices for your business. Unlike most of its competitors that integrate with a number of other systems, actiTIME integrates with only one—QuickBooks. If you use QuickBooks, you can easily transfer time from actiTIME into QuickBooks in order to invoice clients and pay employees. This will eliminate the need for double entry, which will save you a ton of time! Similar to its competitors, actiTIME includes a number of detailed reports to give you insight into team productivity, budget versus actuals by project and overtime, and leave costs. Reports are available in several different formats, including charts, HTML, spreadsheets, CSV, or PDF. Work Scope Management Tools – Unlike many of its competitors, you can create tasks in bulk or upload them from a CSV file, easily delegate work to a project team or individuals, and monitor work in progress. Project Cost Control – Like many of its competitors, you can track project costs based on hourly pay rates of employees. Kanban Board – Similar to Hour Stack, you can visually manage tasks by moving cards around on a customizable Kanban Board to see what projects are completed, in progress, and near completion. Unlike Harvest and FreshBooks, which both offer expense tracking and the ability to create estimates, actiTIME does not include either of these features. However, as we discussed, actiTIME integrates seamlessly with QuickBooks so you can import your hours into QuickBooks, which includes the ability to track expenses and create estimates. Overall, actiTIME has positive user reviews. actiTIME users like how simple and easy it is to use it and the fact that it makes it easy to keep track of hours worked by employees. The negative reviews that we found were centered around how steep the price is compared to other competitors. Check out our actiTIME User Reviews page to see all reviews. Getting started with actiTIME is as easy as providing a few contact details about your business. Head over to their website and provide your business information, and an account will be created for you—no credit card required. You can use the software free for the first 30 days. At the end of the trial period, you will need to sign up for a paid account to continue to use the software. TSheets is ideal for businesses that have employees who work in the field, because of its GPS tracking. The GPS tracker allows you to track the location of an employee throughout the day. Paid plans start at $5 per user per month plus a base fee of $20 per month, versus $12 per user per month for Harvest, which doesn’t include GPS tracking. Similar to Harvest, Toggl, and TMetric, TSheets offers a free plan to small businesses that don’t need to add users. Their paid plans start at $5 per active user per month, plus a base fee of $20 per month. All plans include time and project tracking, GPS tracking with the time tracking app, and a time clock kiosk that allows you to turn your tablet into a time clock! Similar to the Harvest and Toggl free plans, the TSheets Self-Employed plan is ideal for a business owner who doesn’t have any employees or contractors and only needs to track their time. However, if you hire an employee or contractor in the future, you will need to upgrade to the TSheets Small Business plan. The TSheets Small Business plan is ideal for a business that has at least one additional user but no more than 99. This plan includes all of the same features you will find in the Self-Employed plans, like time tracking, project management, and invoicing. The TSheets Enterprise plan is ideal for large companies with 100+ users that need to track their time. Similar to its other plans, you can track time, manage projects, invoice customers, and access detailed reports with this plan. Like many of its competitors, TSheets is very easy to use and simple to set up. When you first log in, there is a TSheets Guide that is broken up into six sections; add employees, add jobs, setup payroll and overtime, set up PTO, set up invoicing, and set up time clock kiosk. You simply click on the section that you want to set up and follow the on-screen instructions. Clock In: In this section, you can clock in when you are ready to start tracking time. Who’s Working: This section allows you to see who’s on the clock, on break, or off the clock. In addition, if an employee is using the TSheets time tracking app, you can click the Map button and see their GPS location! When it comes to time entry options, TSheets gives you multiple options for recording time entries. Employees and contractors can log into TSheets from their desktop computer, the time tracking app, or a time clock kiosk. Similar to other competitors, time can be entered manually or you can use the timecard feature, which requires employees to clock in. You can track all time entries to a specific project or job in TSheets. This will allow you to run reports by project or job and create invoices for unbilled hours for a project or job. Like Harvest and Toggl, project management is available in all TSheets plans. While TSheets doesn’t have as many options to customize invoices as FreshBooks, you can easily create invoices in TSheets so that you can bill your customers. Invoicing is available in all three TSheets pricing plans. TSheets integrates with more than 30 apps versus the 100 apps that Harvest integrates with. However, one of the features that sets TSheets apart from other competitors on our list is that they also integrate with payroll solutions like Sage, ADP, and Paychex. This means that you can easily transfer hours to these companies, streamlining your payroll process. Finally, since TSheets is a QuickBooks company, it also integrates with both QuickBooks Online and QuickBooks Desktop. Like Harvest and the other competitors, TSheets has several reports that you can generate in just under two minutes. You can run an approvals report to see what hours have been approved versus unapproved. You can run a payroll report that can be used to process payroll for employees outside of TSheets. Finally, you can run reports to review total job or project costs to see where you are over/under budget. In addition to the features we have already discussed, TSheets includes a few more features that we think are worth pointing out. GPS Tracker – Similar to Time Tracker, TSheets allows you to reduce fraudulent time entries by having employees in the field use the TSheets time tracking app, which includes a GPS tracker so you can see the employee’s location when they clock in or out. Time Clock Kiosk – Like ClockShark, you can use your own tablet as a punch clock. Employees can clock in and out using a four-digit pin. You can also enable facial recognition for additional security, and managers can receive alerts when there is a questionable clock-in. Email Alerts and Reminders – Set up custom emails to alert employees and contractors that they need to enter their time prior to a set deadline. This will save time and ensure critical payroll deadlines are met. Similar to all the other products on our list except for Harvest and FreshBooks, TSheets does not allow you to track expenses or create estimates. However, it does integrate with over 30 other programs, like QuickBooks, so you can easily transfer your data and create estimates, invoices, and track expenses, all within QuickBooks! TSheets users said that the customer support team is excellent and they like how well the product integrates with QuickBooks. The negative reviews for TSheets centered around product improvements users would like to see, like more reports for customers and ways to easily differentiate customers within the system. You can read all reviews on our TSheets User Reviews page. As we mentioned, you can sign up for the TSheets Self-Employed account for free. However, if you want to try the TSheets Small Business or Enterprise plans, you can sign up for a free 14-day trial. Just head over to their website and provide your information to sign up. At the end of the trial period, you will need to convert to the free account or a paid plan. TMetric is ideal for companies that have several projects to keep track of because of its advanced project tracking tools. Out of the 10 products that made our list, TMetric has the most advanced project tracking features. With TMetric, you can create billable hours by project or by individual. You are also able to track time by the type of work as well as the ability to create budgets. TMetric has a free plan, and paid plans start at $4 per user per month. TMetric has a free plan and two paid plans that start at $4 per user per month. When compared to the free plans offered by Harvest and Toggl, the TMetric free plan is the only one that allows you to have more than one user (maximum of five). All TMetric plans include time tracking and project tracking features. The mid- and top-tier plans include invoicing and advanced project tracking tools. The TMetric Free plan is ideal for a small business that needs to track time for no more than five users. Unlike the Harvest and Toggl free plans, which don’t allow you to add users, the TMetric free plan allows you to have up to five users. Unfortunately, you can’t invoice customers with this plan like you can with the Professional and Business plans. The TMetric Professional plan is ideal for a small business that has more than five users they need to track time for. This plan runs $4 per user per month and includes features that are not available in the Free plan. Some of the features this plan includes are invoicing, time estimates for projects, and budgeting for projects. The TMetric Business plan is ideal for a small business looking for a payroll solution. You can process payroll for employees and contractors with this plan, which is not available in the Free or Professional plans. As a matter of fact, none of the other competitors offers this option. TMetric has a very user-friendly, intuitive interface. I was able to figure out how it works without watching a video tutorial or looking at the help menu. I particularly like the clean interface and the large font so that I don’t have to squint to see what’s on the screen. This dashboard is much better organized than the other competitors. Timer: Clicking this green button will start the timer for any task that you choose. You can pause, start, or stop the timer as needed. 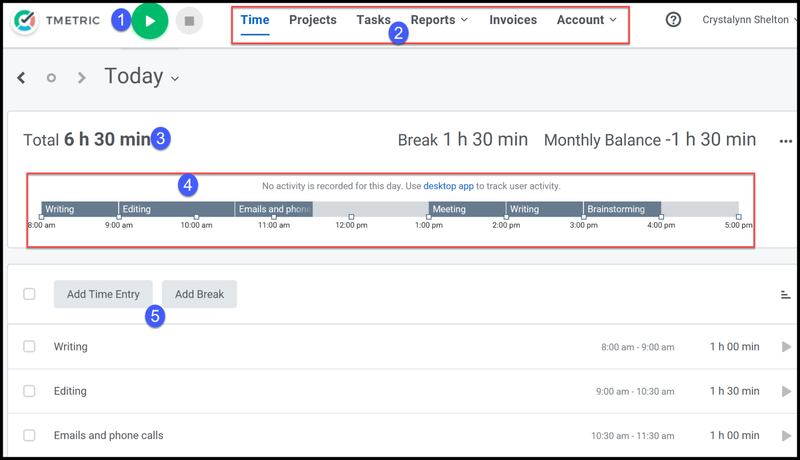 Navigation Bar: At the top of the screen, you will see a navigation bar that allows you to toggle between time tracking, projects, tasks, reports, invoices, and your TMetric account. Total: In this section, you will see the grand total number of hours that have been logged for the time period you have selected. Time Entries: In this section, you will see a brief description of each time entry and the start/stop time. Add Time Entry and Break: In this section, you can manually add time by clicking the Add Time Entry button, and you can also add breaks by clicking the Add Break button (shown in the above screenshot). A summary of the time entered will display in this section. Similar to its competitors, TMetric lets you can enter time manually into TMetric or you can use the timer. Employees and contractors can download the TMetric time tracking app and use it on any device with an internet connection, or they can log into TMetric from their desktop computer. Like Harvest, Toggl, and TSheets, all three TMetric plans allow you to manage projects. However, the Professional and Business plans have a few advanced project tracking features that you won’t find in the Free plan. A breakdown by task for each project, billable rates for projects, billable rates for work types, time estimates for projects, and budgeting for projects are just some of the additional features included in these plans. Unlike the Harvest free plan, which includes unlimited invoicing, the TMetric free plan does not include invoicing. If you choose TMetric, you will have to go with the TMetric Professional or Business plans if you need to invoice customers. Unlike Harvest, which integrates with 100 apps, TMetric integrates with only three: JIRA Cloud, Redmine, and Zapier, which are open source development tools. You can access their open API to create custom integrations with other apps that you are currently using, like QuickBooks and Xero, which support an open platform. Integrations are available for all three TMetric pricing plans. Like its competitors, detailed reports are available in TMetric for time tracking, project management, and invoicing. There is a variety of reports available to view time tracking by project, team, or client. Time Entry by Person – Review time entries on a daily, weekly, or monthly basis for individual employees or contractors. Time Entries by Team – Compile time entries for specific teams and run reports for any time period for an entire team or department. Time Entry Reports by Project – Stay on top of time entries by project to ensure that you don’t exceed budget and to make sure that you are on track to meet the project deadline. Budget vs. Actuals Reports by Project – Available in the Professional and Business plans only, you can run reports to compare the budget versus actuals for projects so that you can stay on top of any projects that are running significantly over budget or under budget. The Professional and Business plans include some advanced project management features not found in the TMetric Free plan and not found in many of the competitors on our list. TMetric allows you to establish billable rates for projects, individuals, and work types. Billable Rates for Projects – You can set flat hourly rates for projects and bill your clients by these rates. Personal Billable Rates – You can set an hourly rate for each person involved in a project. Using this information, you can calculate billable amounts. Billable Rates for Work Types – Define standard work types and set hourly rates for each. Time Estimates for Projects – You can estimate time per project or per person and compare the estimated time to the actual time tracked. Budgeting for Projects – Establish a sum of money as a budget for a project and track budget to actuals. Similar to most of the companies on our list (except Harvest and FreshBooks), TMetric does not have the ability to track expenses or create estimates. However, you can create invoices with the Professional and Business plans, but not the Free plan. TMetric users like how simple and user friendly the software is, and the ability to use the software for free is a huge plus. On the negative review side, users don’t like that employees can’t enter time that goes back more than three days, and they would like to see more advanced reporting options. Similar to Time Tracker, FreshBooks, Toggl, and Harvest, TMetric allows you to try their product for free for the first 30 days. All you have to do is head over to their website and provide some basic contact information to create your account. If you decide you want to continue using TMetric, you will need to convert to a paid subscription or downgrade to the Free version. Time Tracker by eBillity is ideal for law firms because their Legal pricing plan was customized for the legal industry. Unlike any other competitor on our list, Time Tracker Legal includes ABA coding, trust accounts, and realization reports. This pricing plan is $15 per user per month plus a base fee of $20 per month. Time Tracker has three pricing plans that run between $5 and $15 per user per month plus a base fee that starts at $10 per month. It goes beyond time tracking to include additional features like a client portal, the ability to accept online payments from customers, and a plan that is customized just for the legal industry! Time Tracker Basic plan is ideal for a company that is looking for a time tracker only and has another system they use to track projects, invoice customers, and track expenses. This plan includes GPS tracking, admin approvals, alerts and reminders, detailed reports, and integrations with other software. The Time Tracker Billing plan is ideal for a company that needs the ability to invoice clients and track expenses. At $10 per user per month, this plan is double the cost of the Basic plan ($5 per user per month). For the additional cost, you get several additional features such as a free outlook app, a free offline app, expense tracking, client portal, invoicing, and the ability to accept online payments. Time Tracker Legal plan is ideal for law firms and attorneys. In addition to the features included in the Billing plan, it also includes customized features for the legal industry. The additional features included are ABA codes, legal invoicing format, trust accounts, conflict checker, and realization reports. Like its competitors, Time Tracker is easy to set up and use. The user interface is very similar to TMetric, with the navigation tabs at the top of the screen as opposed to in a left menu bar like most of its competitors. Navigation Menu – Easily navigate to other areas of the program like Time Entries, Project, Client, Billing, and Admin by clicking on the appropriate tab. Navigation Submenu – Navigate to see an overview of time entries, reports, contacts, and the scheduling sections of the program by clicking on the appropriate tab. User – From the drop-down, select the user you would like to see time entries for or select all to see total time entries for all projects. Billing Legend – This color-coded legend breaks down time entries into three categories: unbilled, pre-billed, and billed. In the example above, all time entries for this user are categorized as unbilled. Time Period – From the drop-down, select the time period you would like to see. The options are daily, weekly, monthly, and quarterly. Billing Type Filter – Filter the data by including or excluding one or more of the three billing types: unbilled, pre-billed, and billed. Like all of the competitors on our list, you can enter time manually or by using a timer in Time Tracker. You can also use the Time Tracker time tracking app to keep track of your hours while on the go. Similar to TSheets, all Time Tracker plans include geolocation, so when an employee or contractor clocks in or out, you can see their exact location. Unlike Toggl and TSheets, Time Tracker does not have the ability to track projects. Therefore, you will need to go with FreshBooks or Harvest if you need this capability. Similar to TMetric, Time Tracker only includes invoicing in their mid- and top-tier plans; the Basic plan does not allow you to invoice customers. If you decide to go with the Basic plan, you will need to invoice customers outside of Time Tracker. Like MavenLink, Time Tracker integrates with 10 other software products, including QuickBooks Online, QuickBooks Desktop, Xero, Reckon, MYOB, Sage 50, Sage Intacct, Clio, Concur, and Gusto. One of the unique features you will find in Time Tracker is the ability to create custom reports. Unlike its competitors, which include generic reports that you can run, with Time Tracker you can create your own custom reports and save them for future use. Reports can be run for all users, clients, and expenses for any time period that you choose. On top of meeting our minimum criteria for time tracking software, Time Tracker includes a few additional features that you won’t find in any of the other competitors on our list. Client Portal – Unlike its competitors, Time Tracker clients can log in to view completed work and outstanding invoices, and they can even pay their invoices online! Online Payments – Like FreshBooks, you can connect your Stripe account to Time Tracker and you can accept online payments from customers. A payment link will automatically be added to all of your invoices so customers can make their payments. Custom Features for the Legal Industry – As discussed, the top-tier plan, Time Tracker Legal, has customized features for lawyers and law firms. These features include ABA coding, trust accounts, conflict checker, and realization reports. None of the other competitors offers these custom legal features. While Time Tracker met all of our requirements for time tracking software, it does not include the ability to create estimates, like FreshBooks and Harvest. In addition, it does not have project management tracking. If you need project management, you should go with Harvest. Overall, the online reviews for Time Tracker are positive. Time Tracker users like the user-friendly interface and the time-saving features, such as copying repetitive hours, multiple billing, and the QuickBooks integration. On the negative side, users complained about glitches with the auto-save feature and that the program has a few annoying bugs. If you are a current or former user of Time Tracker, head over to our Time Tracker User Reviews page and leave a review. You can get started with Time Tracker by heading over to their website and providing some basic contact information about your business. Your account will be created immediately and you will be able to use it for free for the first 30 days. At the end of the trial period, you will need to convert to a paid account to continue to use the software. ClockShark is ideal for small businesses in the construction and field service industries because it includes many features that are ideal for these industries. For example, the employee scheduling tool, GPS location tracking, jobs tracking, and reporting are just a few features included for $5 per user per month plus a base fee of $25 per month. Out of the ten companies that made our list, ClockShark has the simplest pricing structure. Unlike its competitors, there is only one pricing plan. ClockShark is $5 per person per month plus a base fee of $25 per month versus Time Tracker Basic, which is only $5 per user plus $10 base fee per month. The ClockShark pricing plan includes time tracking, invoicing, expense management, and employee scheduling. In addition, it also includes GPS tracking, kiosk time clock, and a number of detailed reports that you can use to review and analyze time entries and expenses by employee, project, or client. ClockShark is very easy to navigate and set up for your business. Like many of its competitors, it has a menu bar at the top of the page, and below it has large icons for tasks like the time tracking app, setting up employees, jobs, and tasks. Like many of the companies on our list, there are many ways to record time entries in ClockShark. Employees and contractors can clock in using the time tracking app from their desktop or using a kiosk time clock you have set up on a tablet. When entering time, employees must select a job and task for each entry to ensure proper job costing and billing later on. Unlike Harvest and FreshBooks, ClockShark does not have the ability to track projects. If you need a project tracking tool, you should go with Harvest or FreshBooks. Both of these products offer time tracking, invoicing, and project management tools. One of the downsides to using ClockShark is that it does not have invoicing capabilities like Time Tracker, Harvest, TMetric, TSheets, and FreshBooks. Therefore, if you need to invoice customers, we recommend that you go with one of the above-mentioned competitors. However, if you currently use QuickBooks, you can download your time entries from ClockShark into QuickBooks, invoice your customers, and pay your employees and contractors. Similar to Harvest, ClockShark not only works with QuickBooks, but it also integrates with ADP, Sage 100 Contractor, and Xero. 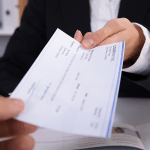 The seamless integration with these products allows you to streamline your payroll processing and accounts receivable by connecting your ClockShark account to one of the accounting or payroll services that you currently use. The data will automatically sync—no manual entry required. Similar to its competitors, there are several detailed reports you can generate in ClockShark to review, approve, and analyze time entries. Reports can be filtered by date, employee, department, or business location. You can also download reports to a PDF format or export the data to a CSV file. GPS Tracking – Similar to TSheets, ClockShark has the ability to track the GPS location of employees and contractors so that you know their exact location when they clocked in or out. Kiosk Time Tracker – Similar to TSheets, ClockShark allows you to turn your tablet into a time clock, and employees use a four-digit pin number to clock in and out. Employee Scheduling – Create schedules for employees that includes job names, address, shift details, and file attachments. You can easily send all of this information to a mobile device so it can be accessed from the field. One of the downsides to using ClockShark is that it does not have project management functionality. Therefore, if you need the ability to track projects, we recommend you choose FreshBooks or Harvest. ClockShark users like how easy the software is to use, the detailed reporting features, and the excellent customer service. On the negative side, users shared that the GPS location does not always show where workers have been. You can check out all of our ClockShark User reviews to learn more. Similar to TSheets, you can try ClockShark out for the first 14 days, free of charge. After the trial period is over, you will need to convert to a paid plan to continue using the software. HourStack is ideal for small businesses that need to grant access to unlimited users. With HourStack, you can give an unlimited number of people “read-only” access to view reports, time entries, and projects, restricting their ability to make any changes. HourStack is the only company on our list that doesn’t charge for this type of users. HourStack plans start at $7 per user per month. HourStack offers three pricing plans between $7 and $29 per user per month. The Personal plan, which is $7 per month, is for one user and does not allow you to add users, whereas the Professional and Enterprise plans do. Similar to Toggl, none of the HourStack plans allows you to create invoices, estimates, or track expenses. Unfortunately, we do not recommend the HourStack Professional plan. This is primarily due to the steep cost of $15 per user per month on top of the fact that you can’t invoice customers, track expenses, or create estimates. Instead, I recommend that you go with the FreshBooks Lite plan. You can invoice customers and track all of your expenses too! When it comes to the basic requirements of time tracking software, the HourStack Enterprise plan is not much better than the Professional plan. Similar to the Personal and Professional plans, you can’t invoice customers, track expenses, or create estimates. However, this plan includes data import, an account manager, and training. HourStack is not as intuitive as the other time tracking software on our list. However, their video tutorials provided me with step-by-step instructions that guided me on how the software works. The layout for HourStack is much different than its competitors. It is a much more visual layout that uses multiple colors with cards that represent time entries. Like Harvest, MavenLink, and Toggl, you can manually enter time or user a timer to keep track of time. One thing I noticed with HourStack is that there is a field to enter allocated time for each time entry. When the actual time reaches the allocated time, the timer will go red and a notification will appear in your browser. At that point, you can keep working and just adjust your allocated time or stop the timer. None of the other competitors that we looked at offers this feature. Similar to Harvest and Toggl, all HourStack pricing plans include project management tools. 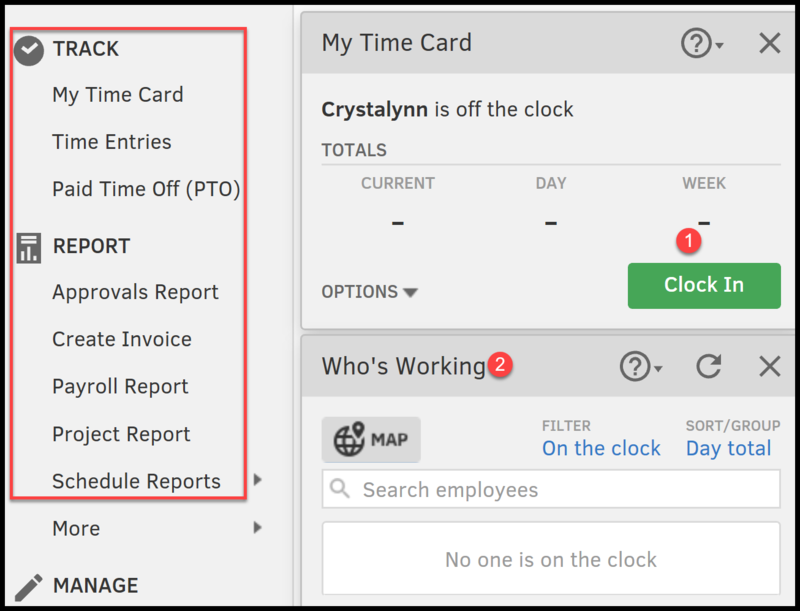 The allocated time feature allows you to see which employees are under or over their allotted time, so you can make adjustments accordingly. You can easily toggle to an employee or contractor and see what tasks they have scheduled for a day, week, or month. With the Professional and Enterprise plans, you can create project budgets and compare them to actuals for further analysis. Similar to Toggl, HourStack does not allow you to transfer hours to an invoice so that you can bill your customers. Instead, you will have to use another software, like FreshBooks, to bill your customers so that you can get paid. HourStack integrates with 11 apps versus Harvest, which integrates with more than 100. The apps that HourStack integrates with are Slack, Asana, Trello, Google Calendar, Google Spreadsheet, GitHub, todolist, Office 365, Bitbucket, HubSpot, and Zapier. Similar to Harvest and other competitors, both the HourStack Professional and Enterprise plans include detailed time tracking reports that will give you insight on time for individuals and teams. 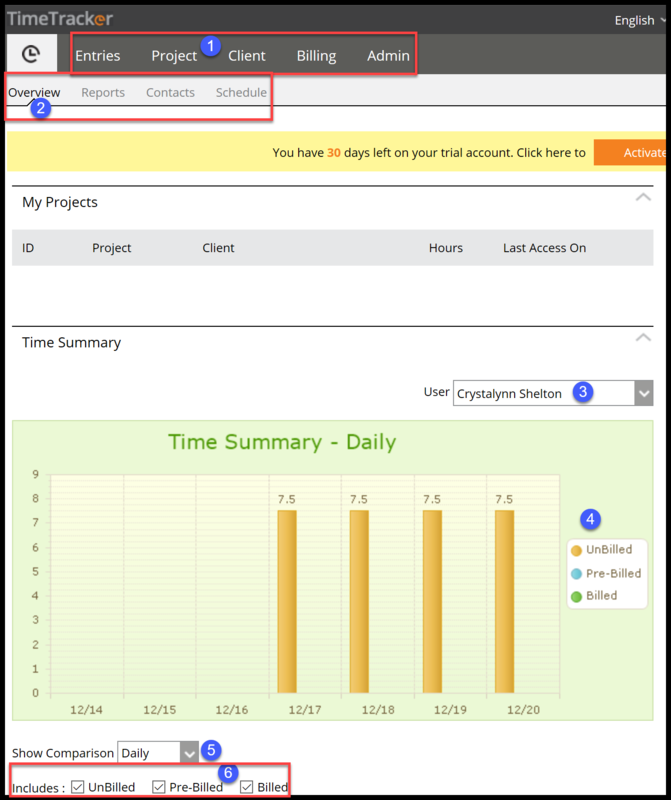 In addition, you can run reports to see the status of a project and stay on top of project budgets to ensure hours do not exceed their allotted amount. Reports can be downloaded in XLS and CSV format. As mentioned previously, HourStack includes several features that you won’t find in its competitors. Some of these include weekly templates, unlimited guests, and a user permission matrix. Weekly Templates – Create a template for recurring projects so that you don’t have to create it from scratch each time. Unlimited Guests – You can give an unlimited number of guests access to HourStack. Guests are users with read-only access who can see everyone’s time entries, but they cannot make any changes or track their own time. User Permission Matrix – This matrix allows you to control what users have access to. You can give access to create entries, view reports, and see all users or just certain users. Similar to Toggl, you cannot create estimates, invoice customers, or track expenses in HourStack. Unlike Toggl, HourStack does not integrate with FreshBooks or any other accounting software. This is why we recommend that you go with FreshBooks, which allows you to do time tracking, project tracking, invoicing, create estimates, and track expenses. HourStack users like how easy it is to plan an entire week of tasks as well as the Google Calendar integration. The negative reviews from HourStack users were centered around how pricey it is to upgrade to a plan that allows additional users. Similar to TSheets and ClockShark, you can try HourStack out for free for the first 14 days. Head over to their website and provide a few contact details about your business to set up your account. At the end of the trial period, you will have to convert to a paid plan if you want to continue to use the software. Toggl is ideal for a small business that has another software they use to invoice customers. Similar to HourStack and ClockShark, you cannot transfer hours to an invoice within Toggl. While you can transfer hours from Toggl to FreshBooks, which has advanced invoicing capabilities, we recommend that you use FreshBooks, which does it all. Toggl offers a free pricing plan, and paid plans start at $10 per user per month. Like Harvest, Toggl has one free plan and two paid plans that start at $10 per user per month. Unlike Harvest and MavenLink, invoicing and expense tracking are not available in any of the Toggl plans. In addition, the ability to create estimates is only available in the Toggl Starter and Premium plans. The Toggl Free plan is ideal if you are a solopreneur, you only need to track your time, and you use another software like FreshBooks to invoice customers. However, if you do hire an employee or contractor, you will need to upgrade to the Starter plan, which allows you to add additional users. The Toggl Starter plan is ideal if you need to track time for employees or contractors and you need a software that will allow you to create estimates, which is not a feature available in the Free plan. Similar to the Free plan, you will have to invoice customers outside of Toggl. The Toggl Premium plan is ideal for a business that has a team of people they need to track time for. This plan includes assistance with onboarding your team to Toggl. You can also create reminders that will automatically go out to your team reminding them to submit their time. In addition, you can schedule reports to be automatically emailed to you. The Toggl dashboard is very similar to its competitors. It has a left menu bar that allows you to easily navigate from different areas, such as Timer, Reports, Projects, and Clients. It’s easy to get set up, like most of the competitors on our list. Toggle between Your Time and Your Team: This toggle button allows you to switch between your time and the time that has been recorded by your team. Time Period: Select the time frame you would like to review time entries for. Options are this week, last week, today, yesterday, this month, last month, this year, and last year, or select a custom date range. Time Entry: Any time recorded manually or using the timer will be shown in this section. For this example, 58 minutes was recorded on Tuesday, December 18th. Diagram: This section will show all time entries in a diagram format, as shown above. Similar to its competitors, you can manually enter time for one or more days or you can use the start/stop timer to keep track of the time you spend on a project. Time can be tracked for an individual, a team, and a project. Similar to Toggl and TSheets, project tracking is included in all Toggl plans. You can create a project, add tasks, and assign them to an individual or a team. Unfortunately, invoicing is not available in Toggl, as it is in Harvest and MavenLink. However, if you use FreshBooks, you can import your hours from Toggl into FreshBooks and create your customer invoices. Toggl does not integrate with any other accounting software programs. Toggl integrates with six other software products: iCal feed, Asana, Basecamp, FreshBooks, GitHub, and Teamweek. This is a small number compared to Harvest, which integrates with over 100 other products and MavenLink, which integrates with 10 other software products. Both the Free and Starter Toggl plans include basic reports that you can run to review time for an individual or teams and to stay on top of your projects. Like most of its competitors, you can export reports in multiple formats, such as PDF, CSV, and Excel. If you choose the Toggl Premium plan, you can schedule reports to be automatically emailed to you as often as you like. On top of the time tracking and project tracking features that Toggl has to offer, it includes tags, idle detection, offline mode, and a Pomodoro timer. You won’t find any of these features in Harvest or any other competitor on our list. Idle Detection – Idle detection notifies you of the time that you’ve been away from the keyboard. You can decide whether to keep the time or discard the idle time. Offline Mode – Offline mode will automatically be enabled whenever you are not connected to the internet. All of the data that is created while offline will automatically sync once your internet connection is restored. Pomodoro Timer – You can schedule the Pomodoro timer to notify you when it’s time to take a break. Toggl is missing two key features found in most of its competitors. First, you can’t invoice customers within the software and second, you can’t create estimates to bid on new projects. However, as we mentioned, Toggl integrates seamlessly with FreshBooks, which includes the ability to create estimates and invoice customers. Overall, Toggl users are positive about their experience with using the software. They like how easy the software is to set up and use. Toggl users also like the ability to track time whether they are online or offline, as well as the detailed reports that are included. A few of the negative reviews posted centered around the timer having a few bugs and the need for more complex reports. You can check out all of our reviews on our Toggl user reviews page. Like Harvest, you can take Toggl for a test drive for free the first 30 days. At the end of the 30-day trial, if you decide to continue to use the software, you will need to sign up for a paid subscription or use the Free version. MavenLink is ideal for a small business looking for a software that has advanced business intelligence reporting. Out of all 10 products that we reviewed, MavenLink is the priciest at $39 per user per month for their tier one plan versus $12 per user per month for the Harvest top-tier plan! MavenLink offers a total of five pricing plans, but we will focus on three: Professional, Premier, and Enterprise. The MavenLink Free plan and the Teams plan do not have the ability to track time, which is why they were excluded from this guide. The mid- and top-tier pricing plans are customized to meet your business needs, so you need to call MavenLink to receive a custom quote. MavenLink Professional is ideal for a small business looking for time tracking and project management tools and doesn’t need financial reports or the ability to plan for and schedule employees. If you’re looking for detailed financial reports or the ability to do resource planning, you will need to sign up for MavenLink Premier. MavenLink Premier is ideal for a small business looking to go beyond time tracking and project management and needs tools to do resource planning and detailed financial reports for in-depth analysis. Since this plan is more customized to fit your specific needs than the Professional plan, you need to contact MavenLink to request a pricing quote. MavenLink Enterprise is ideal for a small business that could benefit from the extensive library of business intelligence reports. This includes over 100 pre-built reports that give you details on time and expense, projects, profit margin, and costs. Like Harvest and other competitors, MavenLink is very easy to set up and use. 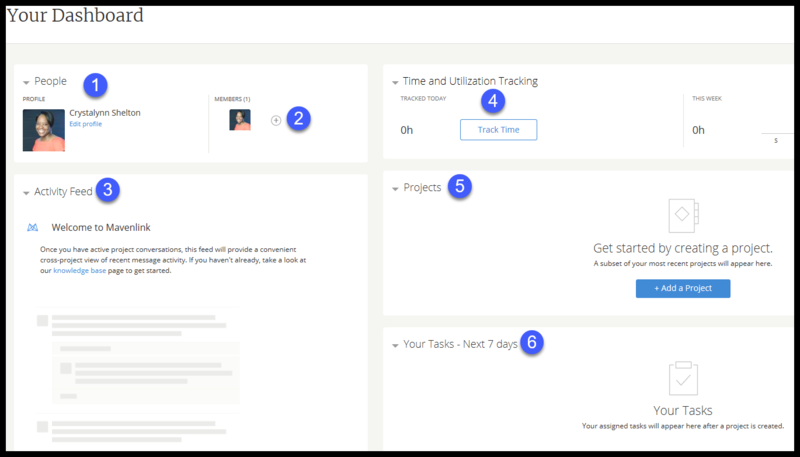 On the main dashboard, you can access key information like your team, an activity feed, time and utilization tracking, projects, upcoming tasks, and outstanding invoices. Profile: New users can upload a profile picture and include a short bio along with links to their social media pages, like LinkedIn. Add a New User: You can invite a new user by clicking on the “+” sign and entering the user’s name and email address. Activity Feed: Stay on top of project conversations by reviewing recent message activity. 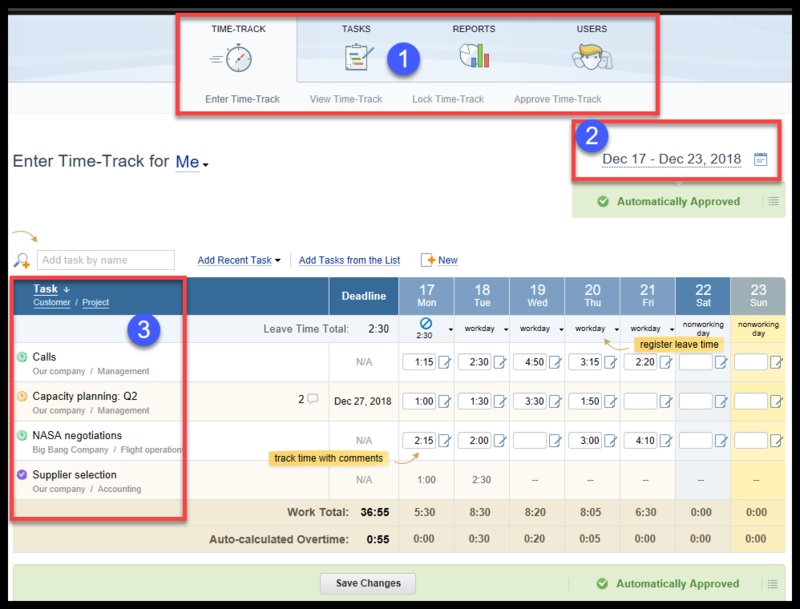 Time and Utilization Tracking: By clicking on the “Track Time” button, you can start a timer to keep track of hours worked or enter time for hours previously worked. Projects: Create new projects directly from this screen and stay on top of their progress. Tasks: View upcoming tasks for all open projects in this section. Similar to Harvest and other competitors, you have a couple of different options for entering hours worked. You can start/stop a timer while you are working on a project or you can log total hours worked for a day or multiple days at one time. You can create projects and assign tasks to individuals, teams, or both. MavenLink even allows teams to collaborate on projects by messaging within the software! The activity feed allows team members to stay current with the latest communication on a project. This feature is not included in any of the other products on our list. Similar to Harvest, you can invoice customers within MavenLink. Simply select the hours that you would like to transfer to an invoice and with a click of a button, the invoice is created for you! MavenLink allows you to manage accounts receivable by listing all of your outstanding invoices on your dashboard. Like many of its competitors, MavenLink integrates seamlessly with other popular software programs: NetSuite, QuickBooks, Salesforce, G Suite, Jira, Expensify, Xero, Concur, Sage Intacct, and Slack. In addition, if you sign up for the Enterprise plan, you gain access to the API so that you are able to create custom integrations for other systems that you may use. When it comes to reporting, only two out of the three plans we recommend include detailed reports: the MavenLink Premier and Enterprise plans. While the MavenLink Professional plan doesn’t include detailed reports that you can export to Excel or print, it does have on-screen detailed information for time entries. Harvest and many other competitors include detailed reports in all of their pricing plans. MavenLink includes a few features that you will not find in any of the other competitors on our list. Activity feed and Project templates are included in all three plans, and Business Intelligence is available in the MavenLink Enterprise plan. Activity Feed – The activity feed allows you to stay on top of all communications related to a project. Team members can collaborate on projects by sending messages within MavenLink. All recent communications will appear in the Activity Feed section located on the MavenLink Dashboard. Project Templates – You can create project templates for recurring projects, which will save you a lot of time. You can also import a template from a CSV file or select a template to use from the MavenLink Marketplace. There are seven templates to choose from, including one for a Website Redesign project, RFP Project, and a new Product Launch template. Business Intelligence Reports and Dashboards – Business intelligence reporting is what sets MavenLink apart from its competitors. It has over 100 expert-built reports that will answer key questions impacting profitability, utilization, and project success. It also includes eight dashboards of insight reports on fees, margin and cost, utilization, resourcing, time and expense administration, and project details. Unlike Harvest, you cannot create estimates in MavenLink and there are no exportable or download reports in the Professional plan. You would have to upgrade to the Premier plan to access these features, whereas most of its competitors include these features in all of their plans. Customers who left a positive review about MavenLink love that it is an all-inclusive software where you can track time, manage projects, bill customers, and run reports. They also said that the customer support is pretty good. Users who left a negative review said that it is very pricey compared to other products on the market, and that there can be a steep learning curve. Check out all of our MavenLink user reviews to learn more. Unlike most of its competitors that give you 30 days to try their product, MavenLink only gives you 10 days. However, it’s easy to sign up for an account—just head over to their website and provide your business contact information. An account will be created so you can start using the system right away! Have a question about choosing the right time tracking software for your business? Our analysts are standing by to answer! Now that you know who the top players are in the time tracking arena, it’s time for you to make a decision. We recommend that you choose Harvest. If you’re a solopreneur who just needs to track time for yourself and no other staff, you can sign up and use the Harvest Free plan. However, if you do have employees or contractors, you can sign up for the Harvest paid plans, which start at $12 per user per month. Harvest allows you and your team to manage time by manual entry or a timer. In addition, you can track time to a project and easily manage projects in Harvest. Best of all, you can easily transfer hours to an invoice so that you can bill your customers right away and get paid. Sign up for a free 30-day trial of Harvest so that you can check out all of the features that we have covered in this guide. Hi Alla, thank you so much for the additional information on TMetric. I will make sure it is corrected. Proofhub looks like a nice tool for project communications. Thanks for sharing with our readers. Hi David! Thank you for this comprehensive article. I am sure these are all wonderful time tracking software. Although, I would like to recommend you Emitii. It is a relatively new free time tracking and analysis tool for freelancers and small businesses. You might want to add it to the list. Cheers! We’ll consider it for our next update on the guide. Thanks! Nice article! As for me, I use TMetric (https://tmetric.com/), it’s absolutely free, easy and convenient. Work day is visualized as a timeline, there are integrations with popular project management systems.﻿ You can also prepare flexible reports by using different filters. Thanks for the tip, we’ll check it out during our next revision. Hi, very good, informative post! I really like Toggl for it’s simplicty. But if we are speaking of the best time tracker I would add TimeCamp to the list. I left Toogl for it and I’m satisfied even when Toggl was very good.